#1 — Hello. My name is Thomas Andrews. I traveled across the Atlantic Ocean from England and settled in Virginia in 1607. I came from a poor farming family. At that time in England, sheep grazing was becoming more profitable, and enclosure was taking place. It meant that farmers had less land to cultivate. I had no real future in England. So, I decided to sign up for the adventure of a life time. Investors in England pooled their money and created a joint stock company called The Virginia Company. King James gave the company the right to settle in North America. It was known as the Royal Charter. I was hoping to make it rich over there. The sailing was tough. We traveled over 6,000 miles and were stuck on the ship for almost 5 months. When I saw North America, I was really glad. #2—–When I arrived in North America, the captain of ship decided to sail up the river. He called the river “James River” in honor of King James. We settled in an area where the river water and the salt water met. Well, we didn’t know it at that time, but it was the worst possible location for us to settle since the area was infested with mosquitoes. As a result, many of us got sick from malaria. 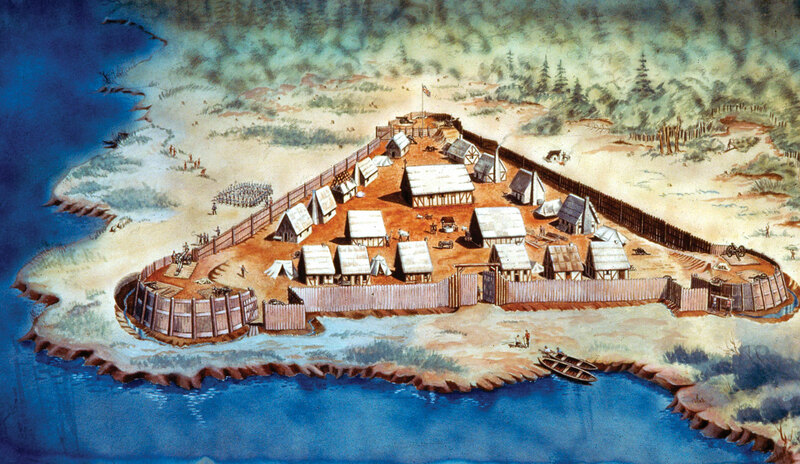 #3—–The captain called our settlement, “Jamestown.” It was a fortified community to protect ourselves from the Indians. We just didn’t know how to live with them peacefully. But we did know that we had to trade with them to get our food sometimes. Our ship brought copper pots and pans and some jewelry to trade with the Indians. We managed to trade our stuff with their stuff like corns and furs. #4—–But, overall, the settlement was a failure. Our leaders were hoping to find gold and silver and had us dig for those precious metals. They heard about the Spanish success in Mexico and wanted us to be rich quickly with the discovery of gold and silver. Well, we found none of that and wasted a lot of time in the process, and got behind in food production. We were constantly hungry. To make the matters worse, many of our guys weren’t trained to do farm work. They were glass makers, jewelry makers, and blacksmiths. They refused to do the necessary farm work. Leaders were lazy. They thought it was beneath them to toil the earth. #5—–What saved the first settlement from going completely hungry was John Smith’s leadership. The guy was a great soldier and a fearless leader. He set the policy called “No work, no food.” Some guys didn’t like John since John was an ‘in-your-face’ kind of guy. But without his yelling and intimidation, some guys just wouldn’t have worked. We somehow managed the first year, thanks to John. #6—–John was very good with the Indians, too. He knew how to trade with them and got us lots of corn from them. When he was captured by one of the Indians, he came real close to getting executed. But, he had his life spared at the last minute. In his book, he said it was an 11-year-old Indian princess named Pocahontas who begged her dad to save John’s life. It sounded very much like a movie, but that’s what John wrote in his book. #7 —-John left Virginia in 1609 to recover from a severe burning accident. Poor guy. He really wanted to make it big in Virginia but had to go back to England. I heard that he wanted to return to Virginia when he got better but never had the chance. I missed John’s strong leadership after he left. Guys stopped working hard, and things were literally falling apart. The winter of 1609-1610 was the toughest. At one point, Jamestown had over 500 people. By April of 1610, only 60 survived. I was one of them. It was the toughest thing that I had ever gotten through. I ate rats, tree bark, and even my leather boots. All 60 of us were ready to abandon Jamestown and go back to England when winter turned spring. #8 —–Well, fate had other plans. The ship sailed in from England in May 1610 and got us more food and other provisions. Lord Delaware and other new settlers arrived and wouldn’t let us leave! That’s how Jamestown survived. #9——Life in Jamestown continued to be challenging. But by 1614, we turned the corner. Our new leader, John Wolf, got the idea of planting tobacco in our fields for the purpose of selling it to smokers in England and other parts of Europe. I hate the smell of tobacco, but lots of people in England loved it. This new crop raised cash, and we were able to buy more things from England. In other words, we began trading with our mother country. It saved our settlement. #10 —– Our new leader, John Rolf, married that young Indian Princess Pocahontas. For a period of time, our relationship with the Indians was good. I heard that Pocahontas moved to England with John later on and was popular in English society for a while. But, she died from illness shortly after in England. 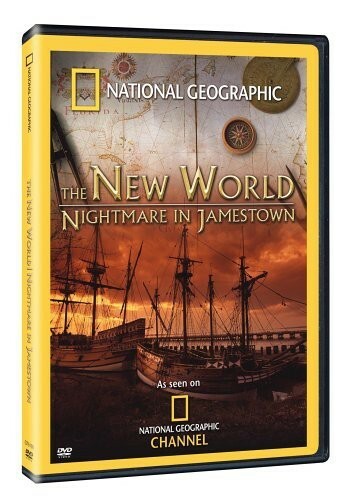 You will be watching the video “Nightmare in Jamestown” by National Geographic. As you watch the video please answer the following questions. 1.Which country explores America before the English and starts bringing back large amounts of gold? 2. How long does it t ake to cross the ocean to America from England? 3. How many attempts to settle Virginia had failed before Jamestown? 4. How many artifacts have been unearthed at the Jamestown site in the last 12 years? 6. What is the name of the river along which they settle? 7. What did Mr. Kelso find instead of an arrowhead? 8. Where did the bullet hit JR? 9. What makes the guns the colonists used extra dangerous? 10. How many trees were cut down to build the James Fort? 11. What enemy killed many of the first settlers? 12. Why would they bury a captain outside of the wall’s fort? 13. How old was Pocahontas when she met John Smith? 14. Is there hard evidence the Spanish had spies at Jamestown? 15. Why would a colonial doctor cut into someone’s skull? 16. What type of accident injuries John Smith? 17. Name two thing the settlers ate while they were starving? 1620’s due to England’s religious and political environment, the Puritans felt threatened and the economy worsened, thus they became interested in colonizing New England. Separatist Puritans became the Pilgrims. They established Plymouth in 1620. 1628: Several Puritans organized the Massachusetts Bay Company. It would be self-governed rather than controlled by England by proprietors, or the crown. 1629: 400 Puritans arrived in Salem. At last the Pilgrims reached Plymouth, Massachusetts and decided to settle. Plymouth offered an excellent harbor. A large brook offered a resource for fish. 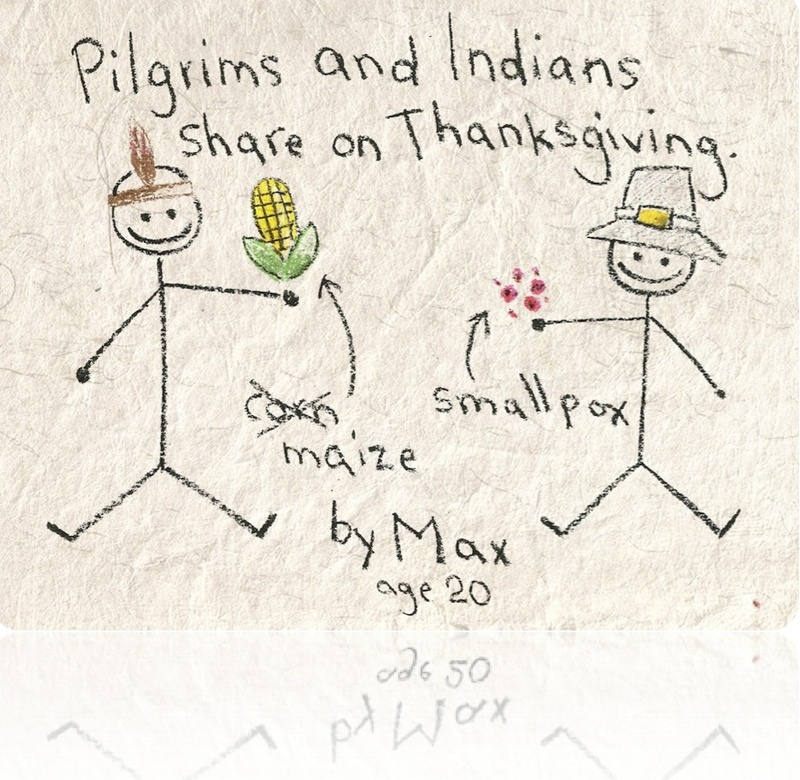 The Pilgrims biggest concern was attack by the local Native American Indians. But the Patuxets were a peaceful group and did not prove to be a threat. The first winter was devastating to the Pilgrims. The cold, snow and sleet was exceptionally heavy, interfering with the workers as they tried to construct their settlement. Then, March brought warmer weather and the health of the Pilgrims improved, but many had died during the long winter. Of the 110 Pilgrims and crew who left England, less that 50 survived the first winter. Then on March 16, 1621, an Indian brave walked into the Plymouth settlement. At first, the Pilgrims were frightened, but then the Indian called out “Welcome” (in English!). His name was Samoset and he was an Abnaki Indian. He had learned English from the captains of fishing boats that had sailed off the coast. After staying the night Samoset left the next day. A few days later, he returned with another Indian named Squanto who spoke better English than Samoset. Squanto told the Pilgrims of his voyages across the ocean and his visits to England and Spain.